MIT went into the shadows. The true number of illegal immigrants living in the U.S. — long a subject of intense debate — could be twice as high as commonly accepted figures, according to a study by a Massachusetts Institute of Technology researcher. 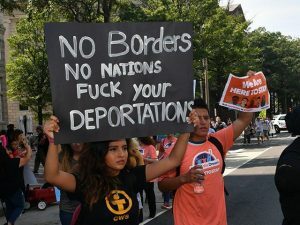 The study published Friday by Mohammad Fazel-Zarandi, a senior lecturer at MIT’s Sloan School of Management, estimates there are about 22.1 million illegal immigrants in the U.S. today. Most frequently cited estimates put the number between 11 and 12 million. Even the lower bound of the MIT study’s range, 16.7 million, is nearly 50 percent higher than the 11.3 million estimated by the Pew Research Center for 2016. Such a wide discrepancy is explained by deficiencies in the methods researchers have used to arrive at previous estimates, according to Fazel-Zarandi and his co-authors, Edward Kaplan and Jonathan Feinstein of Yale University. In the past, researchers typically extrapolated the total number of illegal immigrants from population surveys and legal immigration records. Fazel-Zarandi and his colleagues used mathematical modeling based on “operational data” — border apprehensions, deportations, visa overstays and demographic data — to arrive at their estimate. The approach eliminated the uncertainty found in methods that rely on surveys, which are a less reliable gauge of the illegal immigrant population, according to the researchers. The MIT study, which spans 1990 to 2016, also used newly available arrest data to estimate the number of illegal border crossings during that time period. It found the number of illegal immigrants coming into the U.S. rose steadily throughout the 1990s, peaked around 2008, and has leveled off and stabilized since then. If corroborated, the numbers reported in the MIT study could have major implications for immigration policy under the Trump administration, which has made a crackdown on illegal immigration a centerpiece of its agenda. President Donald Trump has repeatedly painted illegal immigration as threat to public safety and the economic well-being of American workers, while administration critics contend he is exaggerating the scope of the problem.